Lambiya Judaiyan Lyrics – Bilal Saeed: This is a brand new sad song sung, composed and written by Bilal Saeed. Get full lyrics of Lambiyan Judaiyan song which is released under the label of Desi Music Factory. 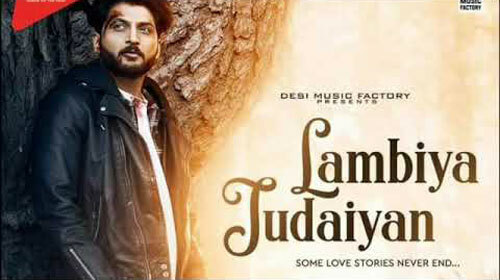 If you find any mistake in lyrics of LAMBIYA JUDAIYAN LYRICS – Bilal Saeed song please let us know in comments.